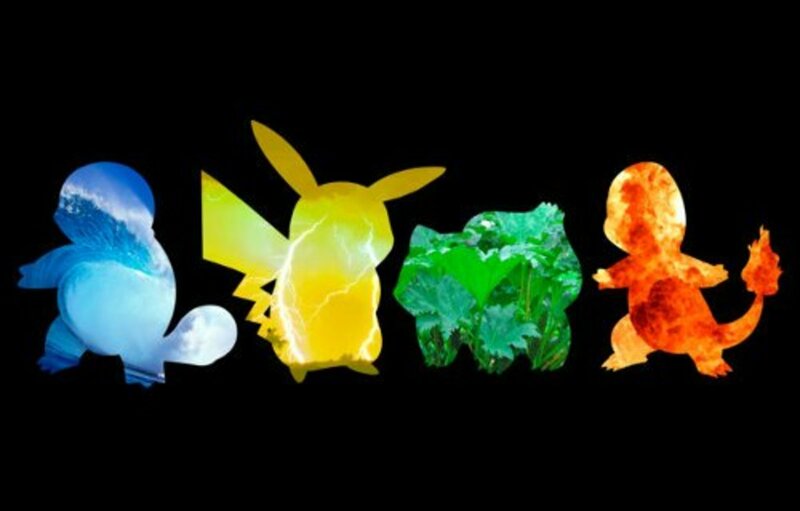 Who doesn't love collecting and battling Pokémon? These mystical creatures range from cute to creepy to fierce. 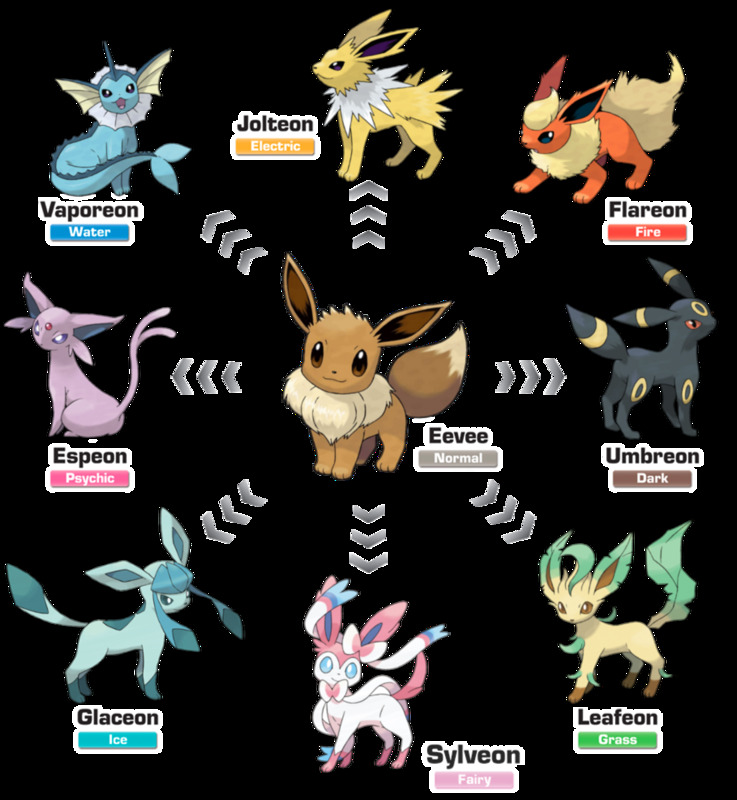 Until recently, each Pokemon tree could have a maximum of three evolutions (with the exceptions of branching-evolutions, like Eevee). Now, a new temporary form, a "Mega" evolution, has been unlocked for several of our favorite creatures. 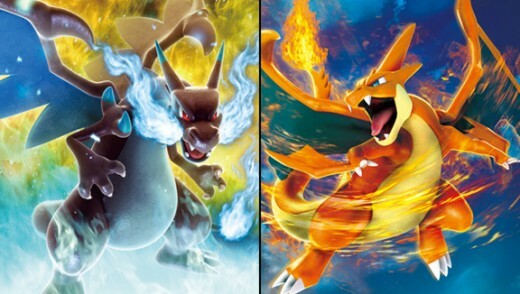 These mega forms affect the Pokemon's elemental type, their battle statistics, and definitely their height. Today, we'll explore the ten tallest monsters, including new Mega forms! Which one do you think is the biggest? Keep reading to find out! 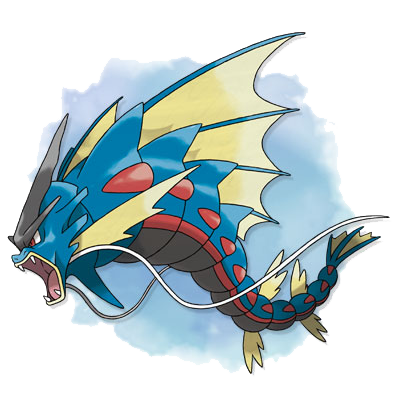 Gyarados thrashes into tenth place. 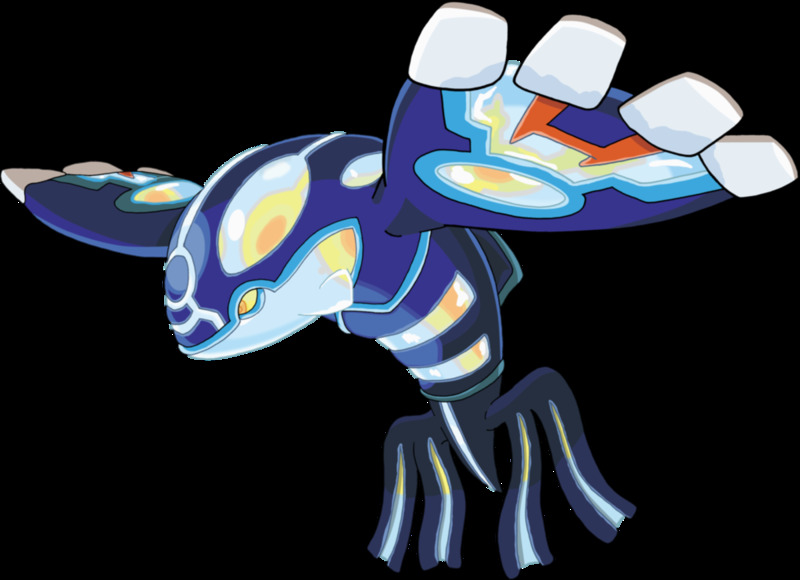 When it mega evolves, it discards its Flying element for the Dark type, gains a lot of power, and doesn't change in height; both are a little over 21 feet tall. You don't want to mess with these big guys; according to the PokeDex (an encyclopedia of all the creatures), Gyarados rampages often, and can destroy entire cities with its wrath. And for some reason, the adults of the Pokemon world think it's safe to put these guys in the hands of new, 10-year old Trainers. Seems legit. 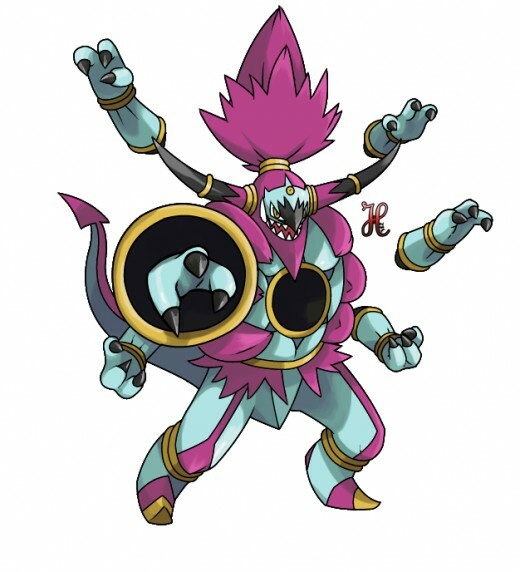 his new transformation, Hoopa Unbound, trades the Ghost type for Dark, increases heavily in strength, and grows in height by about twelve times. Pretty impressive change, isn't it? Still, be wary around this ominous creature. The Pokedex tells us Hoopa may "send anything and everything to faraway places using its loop, which can warp space." 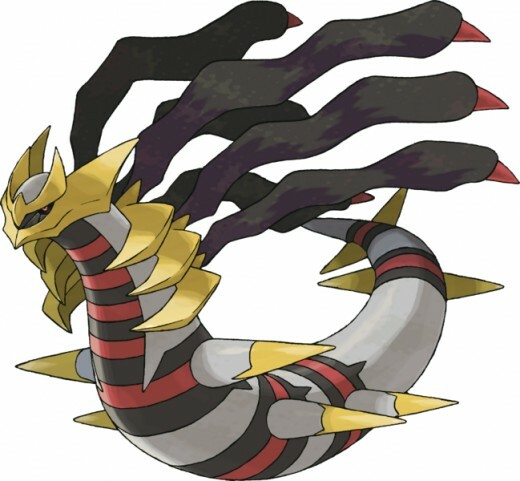 The mascot of Pokemon Platinum, Giratina, soars into eighth place with a sleek, cool, and intimidating design. This legendary and mysterious Pokémon has two forms: Altered and Origin. The Origin form, pictured here, is a bit taller and more serpent-like than its legged Altered form. I'd keep well away from this monster; it is said to have been banished from Earth for violent behavior. Now, it silently watches events from an alternate and distorted dimension. Giratina is definitely a large and eerie Pokémon, but we still have many more behemoths to explore! 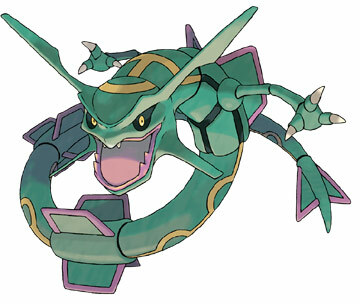 Seventh place goes to the mascot of Pokémon Emerald, Rayquaza. Despite the fearsome appearance of this legendary monster, you don't have much to fear from it. It mostly keeps to itself, living in the sky, and descends to stop conflicts between the powerful Groudon and Kyogre. Thus, it supposedly exists to help mankind.. but just to be safe, I wouldn't want to get in this giant dragon's way. Early Pokémon fans have to remember this guy. 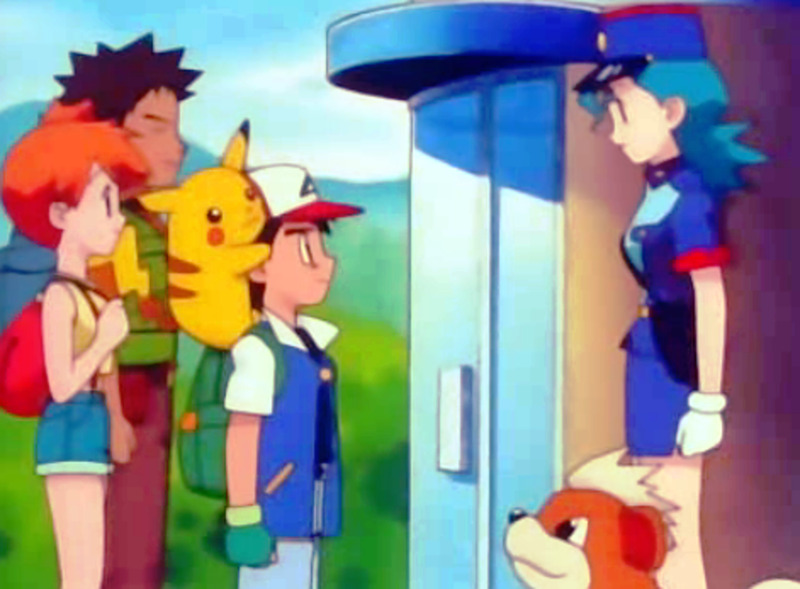 Onix was the tallest original Pokémon, and anime protagonist Brock used one. Onix towers over most others, measuring almost six feet taller than Rayquaza. He's noted for being able to travel over fifty miles per hour - while underground! 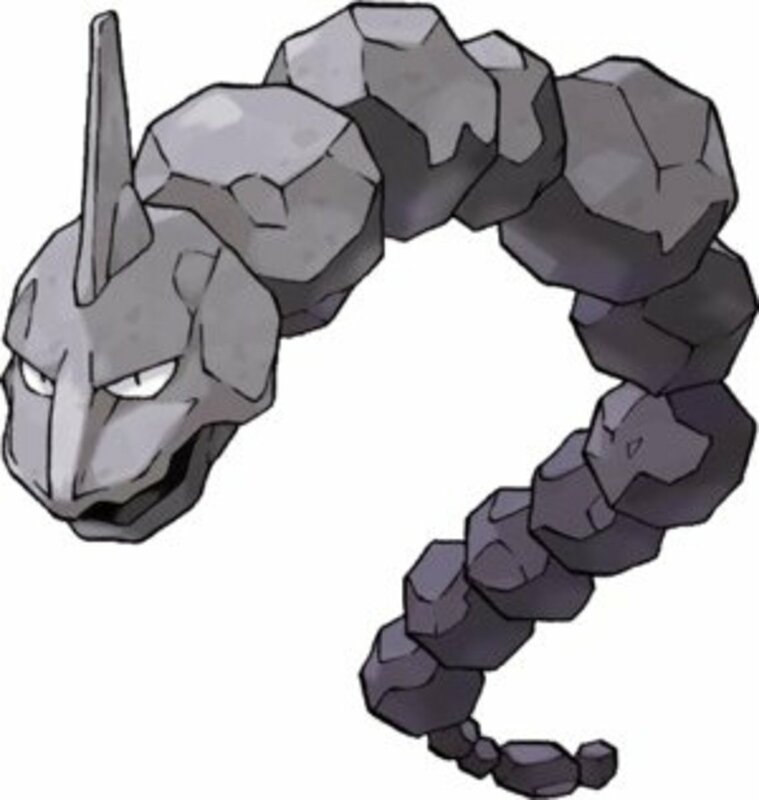 However, as impressive as Onix is, he can turn into something even larger..
Onix gained an evolution in Generation 2, where he could turn into the powerful Steelix. 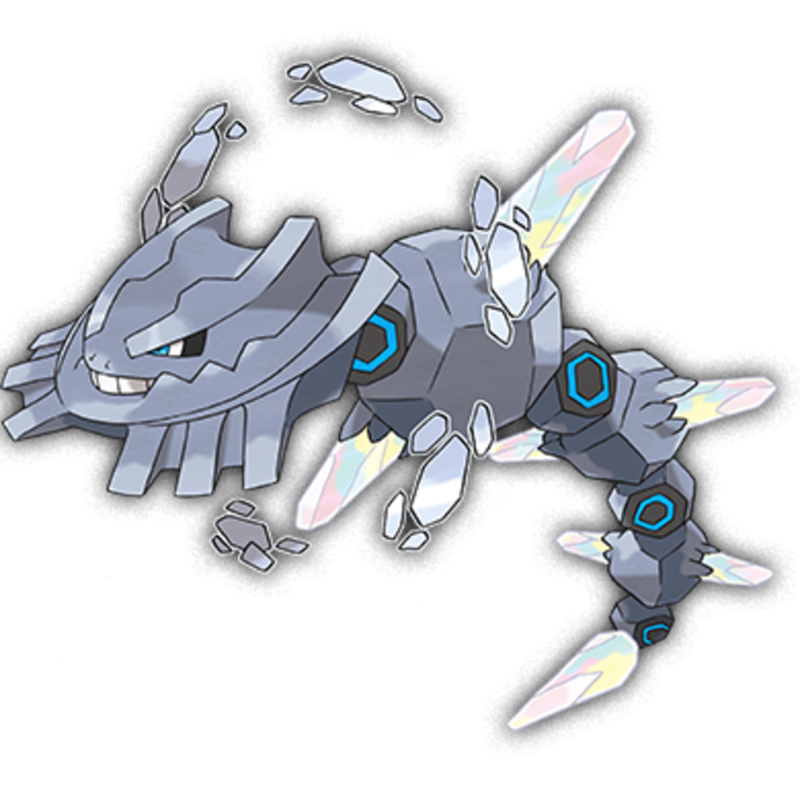 Shedding his Rock type for Steel, Steelix gains power and loses several elemental weaknesses. The PokeDex tells us Onix changes into Steelix when it lives past the age of 100, and its rocks are tempered into diamonds. I could have sworn you just needed to trade one holding a Metal Coat.. ah, I must be crazy. 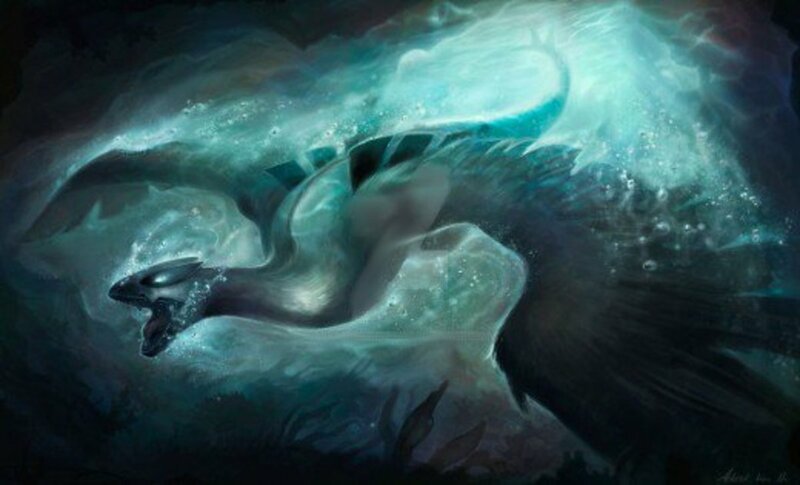 In the update to Pokemon Sapphire, Alpha Sapphire, the legendary Kyogre gained a new form: Primal Kyogre. This new mode allows for increased power and a larger design. Primal Kyogre is the heaviest, strongest, and arguably best Water Pokémon yet, and its own Pokémon ability boosts the power of its Water attacks, while automatically negating Fire techniques. Be sure to stay on the good side of this mighty behemoth. 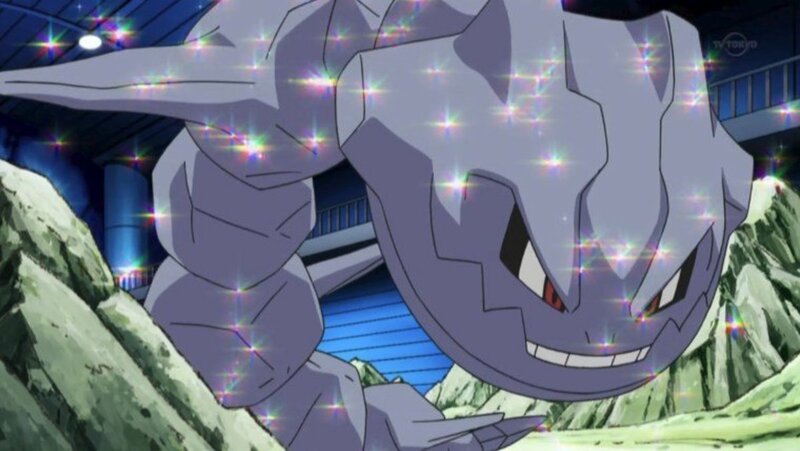 When Steelix unleashes its Mega form, it doesn't gain a new element, but becomes even more powerful. Its physical defense stat is amazingly high, and the creature gains some mysterious markings across its body. If you prefer gold over silver, catch a rare "shiny" Steelix to train a brighter version of this gigantic titan. Good luck cosplaying this one, Pokefans. As Rayquaza feeds on meteorites in our atmosphere, it slowly stores power, allowing it to eventually turn into the formidable Mega Rayquaza. This form ravages foes with high offensive power, speed, and fierce Delta Steam ability (its defenses are a bit lower though). 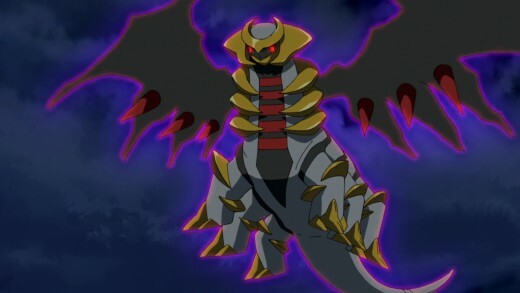 Still, you know this monster is strong—in the anime, it defeated Mega Charizard X and Mega Metagross at the same time! As large and powerful as Mega Rayquaza is, one Pokémon is even taller. Would you believe it's not a Mega Pokemon? Okay, whose been posting pictures of my ex-girlfriend? Kidding aside, I mentioned earlier that Primal Kyogre is the heaviest Water type. That's certainly true, but it's not the biggest; that title goes to the whale-like Wailord. This creatures dwarfs all others, being a good 12 feet longer than even Mega Rayquaza. But for such a massive Pokémon, its weight seems oddly low: Wailord weighs less than 900 pounds. All that swimming keeps him trim, I suppose. Compare that to real-life blue whales, who can weigh up to 200 tons, many times heavier than a Wailord. This is likely because Wailord's body is partially composed of air; it is afterall the "float whale" Pokémon. 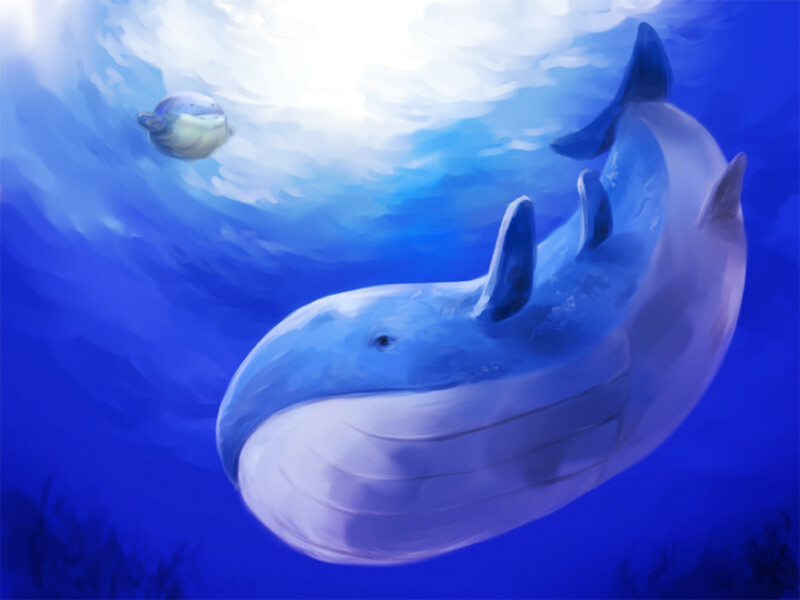 But despite its low weight, none can deny Wailord's awesome size. Hopefully, it'll receive a mega evolution someday—one that trumps even its current magnitude. Which colossal monster do you favor? Hopefully you've enjoyed reviewing some colossal creatures; I'm excited to see more large behemoths in Pokemon's future. As we eagerly await these upcoming monsters for Pokemon to turn into trading card cash cows, let me know which of today's gargantuans you prefer, and I'll see you at our next countdown! 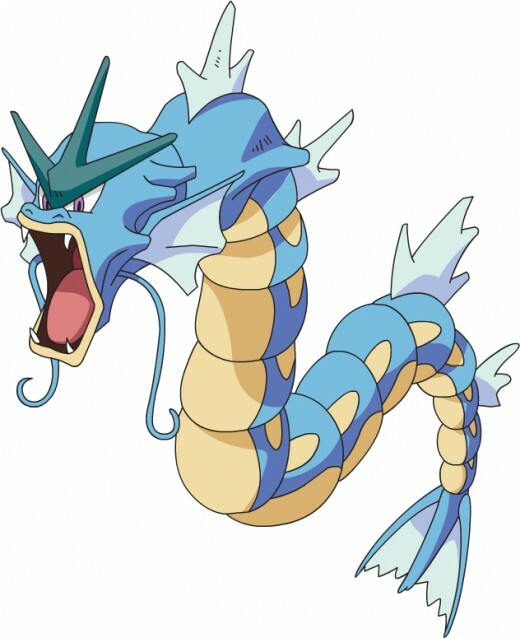 Ignore the spelling error of Gyarados in the poll. I was a young, simple lad, naive to the many vowels of the ol' sea monster's name. Admit it, you didn't notice it either. Well maybe you did, but let's pretend to spare my feelings. What is the smallest Pokemon? Several Pokemon tie for the smallest Pokemon. Check out a full list at the link below! Is there a Pokémon bigger than Wailord? Sort of. Alolan Exeggutor is now technically the biggest Pokemon, but because it's just tall and doesn't have much girth, you could still think of Wailord as the overall heftiest. Which is the tallest Pokemon that can stand on its two legs? Alolan Exeggutor (which also happens to be the new tallest Pokemon). Interestingly, unlike the Grass/Psychic regular Exeggutor, the Alolan version is a rare Grass/Dragon mix. Wouldn't Celesteela be on this list of top 10 largest Pokemon? Yes, but this list predated Sun and Moon where Celesteela was introduced. That's the problem with reviewing ongoing games/media: new content released after a released article may change the article's accuracy. Still, I enjoy covering Pokemon, and at some point in the future, I'll try to make an updated list. What about Snorlax as the largest Pokemon? You're probably thinking of weight, not height or length.The average Snorlax is 6'11'', which is taller than most humans, but nowhere near the size of Gyarados and the like. Regigigas is literally called the colossal Pokemon, why isn’t it on this list? "Colossal" or not, Regigigas stands at 3.7 meters, barely over half the size of today's smallest entry, Gyarados. 2 feet 11 inches, or 0.9 meters. Isn't Dragonite the tallest Pokemon in the anime? Sort of. His silhouette in the season 1 episode "Mystery at the Lighthouse" (which featured video game character Bill) was definitely huge, but in future anime appearances, he was only a bit taller than an average man. And remember that anime heights greatly differ from official video game stats. Why didn't you include Primal Groudon as one of the largest Pokémon? Because he's simply not as tall. Groudon does get bigger in his primal form, but even then, he's still standing at 5 meters, well under Gyarados's height stat. Shouldn't Primal Groudon be number 1? No, you're thinking in anime terms where Pokemon are often made bigger than they really are in the games. Primal Groudon isn't short, at 16'05", but it definitely isn't the tallest. What about the colossal Pokémon regigigas? Wailord might be the biggest but it's not the strongest .The most powerful Pokemon is tied by three Pokemons and they are Mega Rayquaza and both Mega Mewtwo Y and X.
Wailord is biggest, but not the strongest. 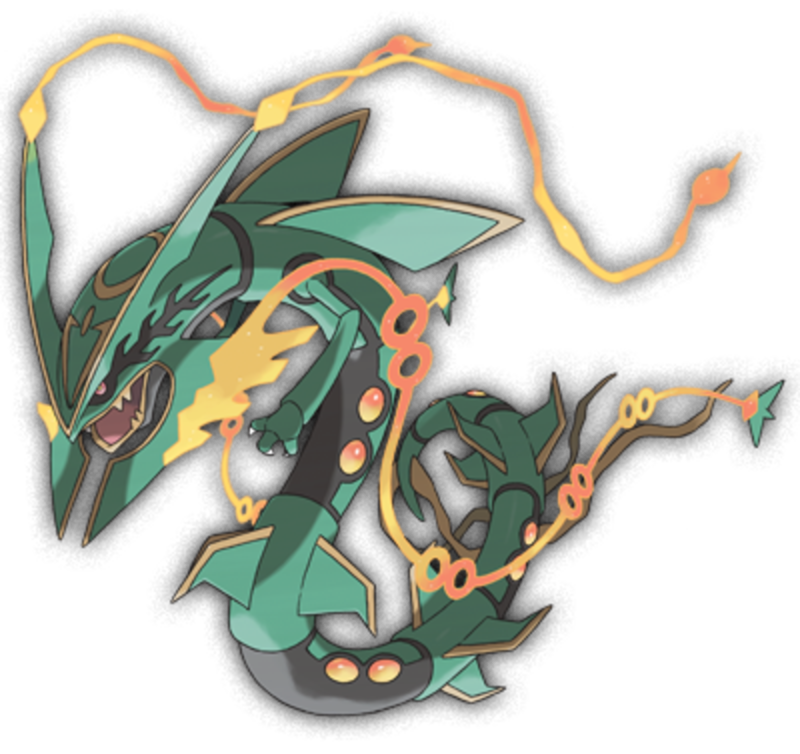 Mega Rayquaza is the strongest because is an attack of 300 and is enough to knock out any other Pokemon. You're probably thinking of anime heights, not official video game ones. Primal Groudon is only 5 meters tall. Arceus's size is 3.2 meters, bruh. alolan exaguttor isn't the largest it's 35'09" , whereas wailord is 47'7"
Anime's a whole different ballgame; it usually scales up the size of "cool" Pokemon like Charizard and Dragonite. You're referring to a really old season 1 episode featuring Bill and an almost Godzilla-sized Dragonite. Good memory, but like I said, the anime operates under very different rules. Additionally, old fans may remember the giant Alakazam, Jigglypuff, and Gengar from the Pokeopolis episode of season 1. Oh, comments section, you never fail to amuse me. This was addressed already in a previous comment. My list predated Sun/Moon and Alolan forms. Weedle is hundreds of 'mons down the line. Tyranitar's cool, but he's less than seven feet tall. Uh, don't send Wailord out over you. Put him on the ground nearby. 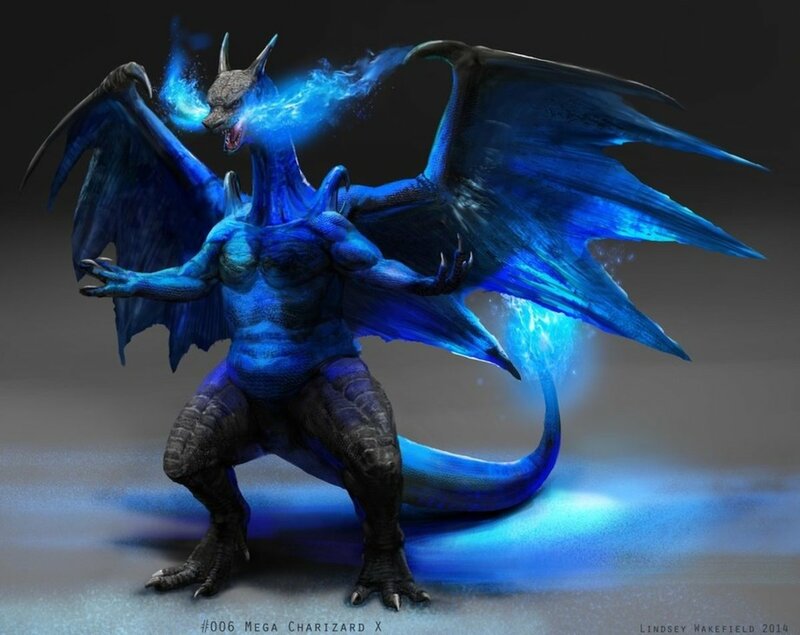 Contrary to what the anime would have us believe, I'm taller than a Charizard. You probably are too. This is actually wrong, Aloloan Exeggutor is the largest. why isn't tyranitar on the list? How can you even USE wailord in a battle!? 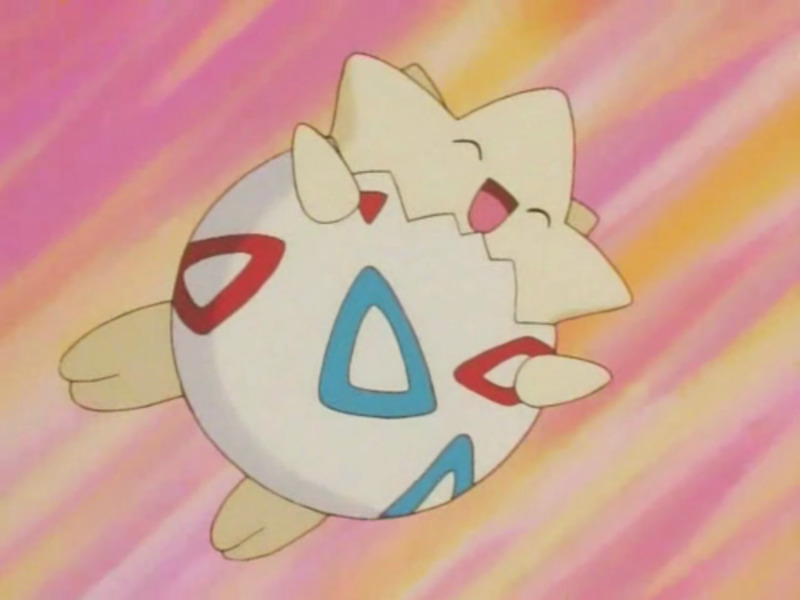 Once it comes out of a pokeball, WE ALL GET CRUSHED. Always liked big Pokemon, ever since giant Onix in Red and Blue. Glad him and his evolution made it! I find it funny that you call Kyogre a behemoth instead of a leviathan. Wow this Pokemon are tall! I'm literally taller than the 5'11'' Mega Salamence. I thought Mega Salamence was tallest? Thanks for the tip, Cohen. You're right, but this was made before Alolan Pokemon. That's the thing with Pokemon lists, they're constantly changing! Cameron, if you're going by anime standards, that's a whole different ballgame. For example, in the show, Charizards tower over humans, each easily standing 7 feet or more, but in the games, they're less than six feet tall. This list was made using the official Pokedex entries.